Want to get into the Christmas spirit? 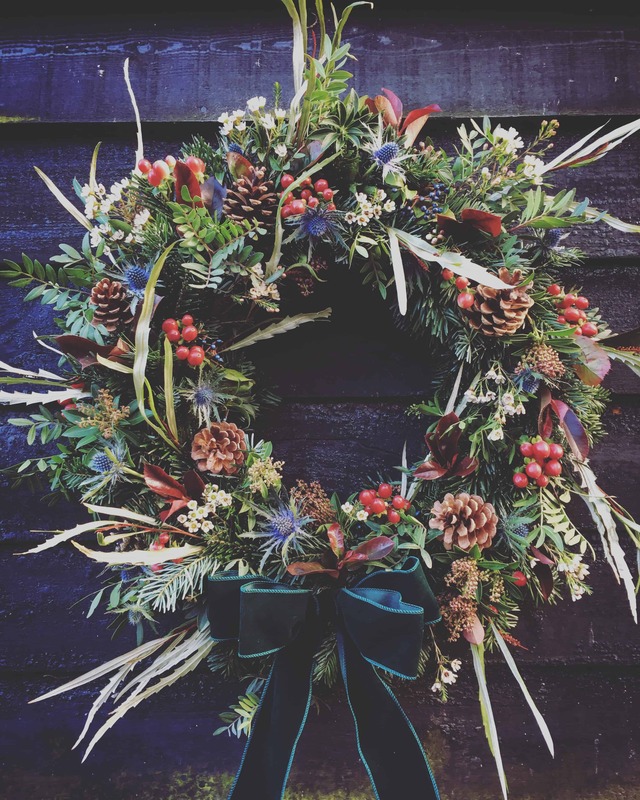 Would love to create a festive masterpiece for your front door? 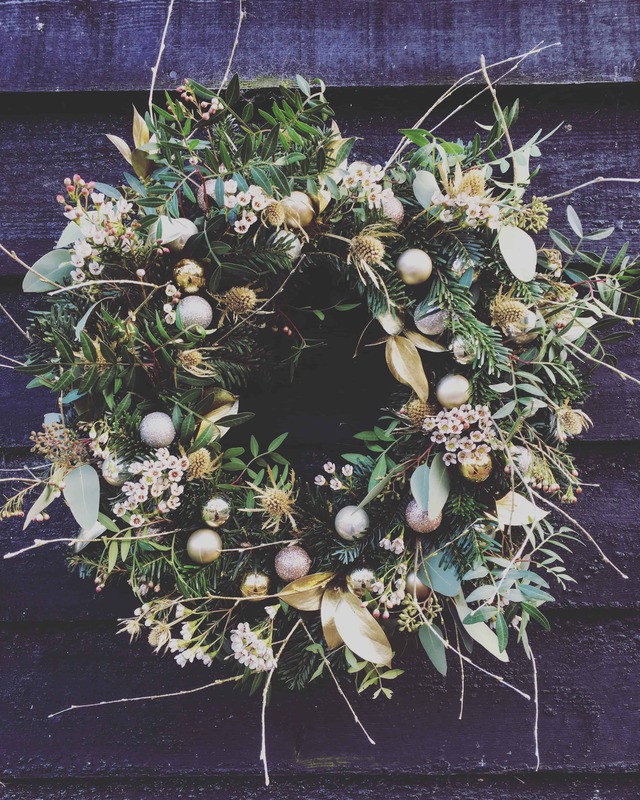 Then our Christmas Wreath Workshops are just for you! These workshops are extremely popular and full of creativity, laughter and of course mince pies and some bubbles! 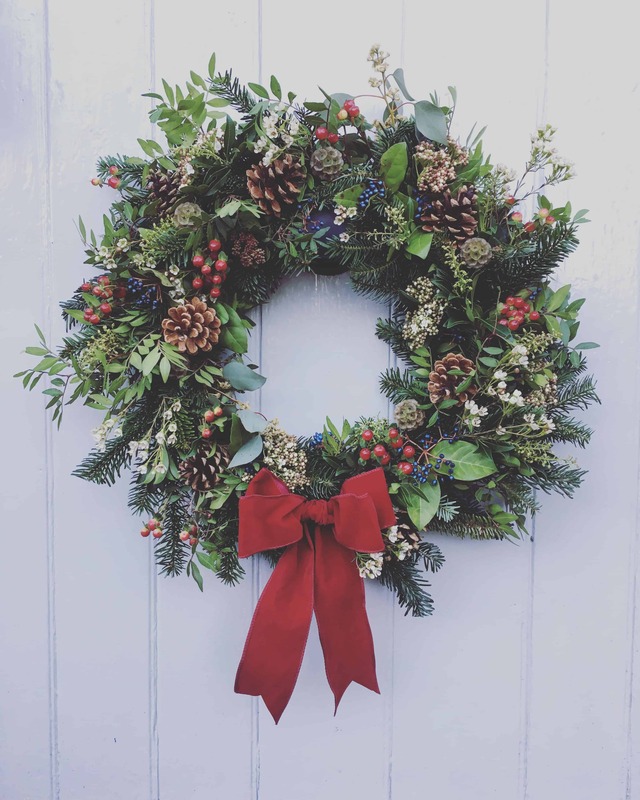 Learn how to create your very own traditional door wreath. 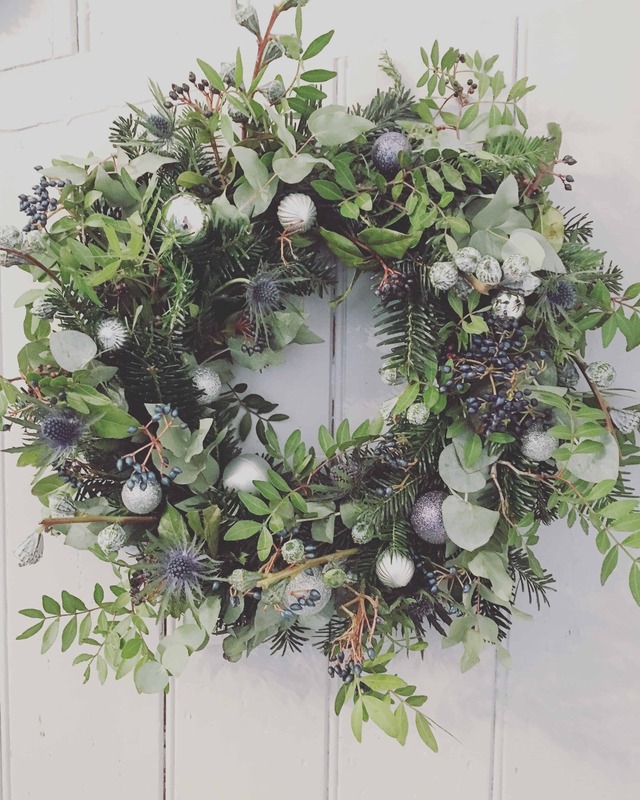 Creating a mossed based wreath with fresh, local foliage and decorated with an extensive range of supplies! All materials & refreshments included and your creation can of course be taken home to hang proudly on your door! Tea, coffee, prosecco and yummy Christmas treats will be provided during the workshop, as will all materials, aprons, sundries and tools that you need. Whether your style is rustic of sparkle, you will leave with a creation to be proud of! These workshops are for all levels.